especially if you attend the festival on weekends. 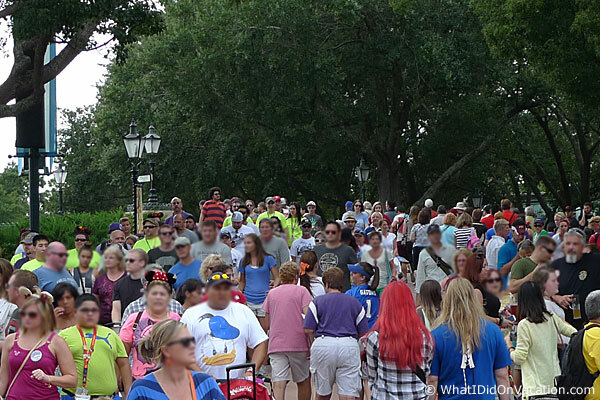 Lots and lots of crowds. 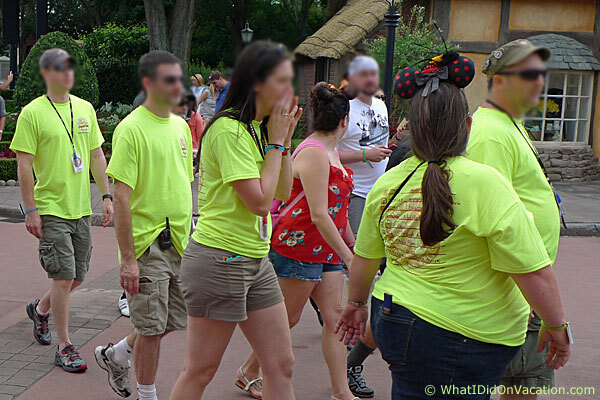 The "drinking team" phenomena, as we have dubbed it, emerged a few years ago. 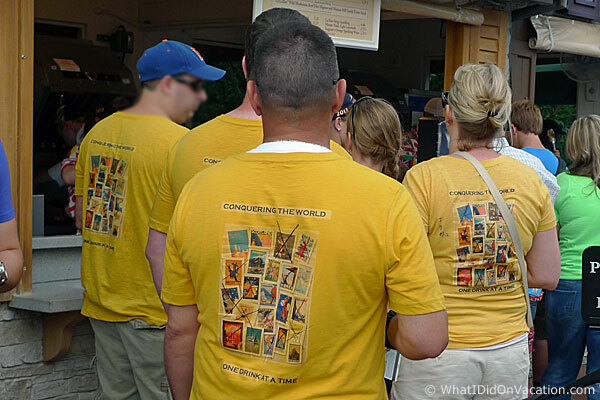 Groups of college students, co-workers, and other assorted affiliated individuals have shirts printed and then show up to drink and eat (mostly drink) their way around World Showcase as a group. This practice is baffling to us. 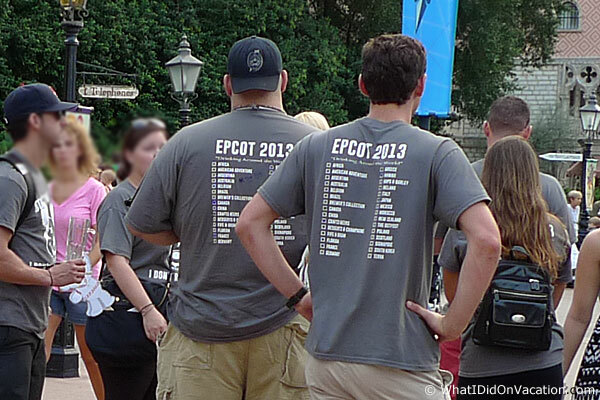 The effort and money involved in designing and having shirts printed for this nothing occasion seems indulgent. 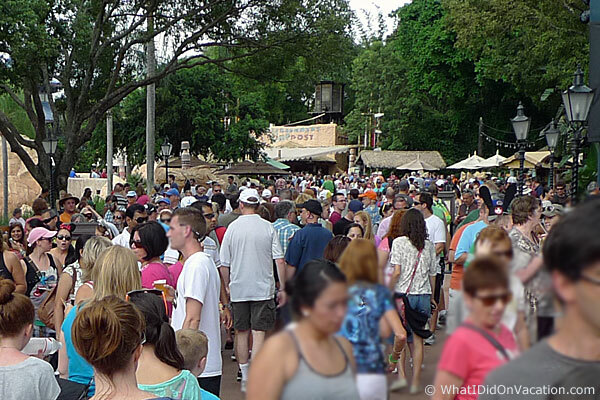 Does a visit to EPCOT to eat some appetizers and sample some wines really require such group affirmation? Here is a team at the Canada kiosk. 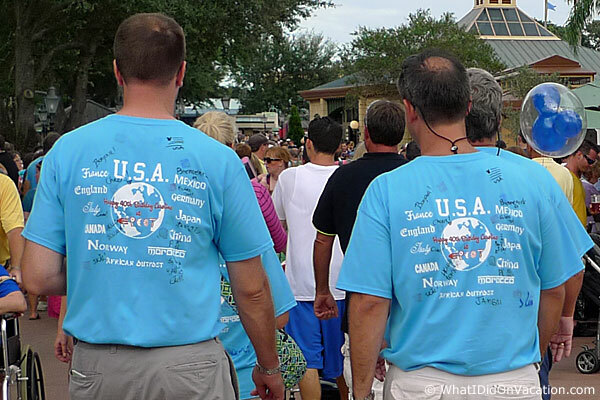 Look at the design effort that went into this shirt. Here's another team with a simpler color palette. The lime green team is on a mission. The gray team checks in. 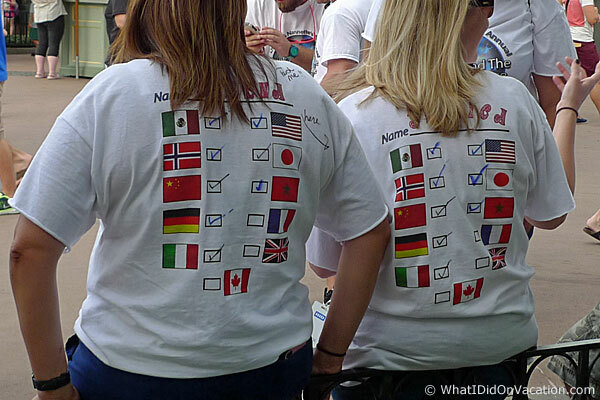 This team checks off each country on their shirts with a sharpie to mark their visit. 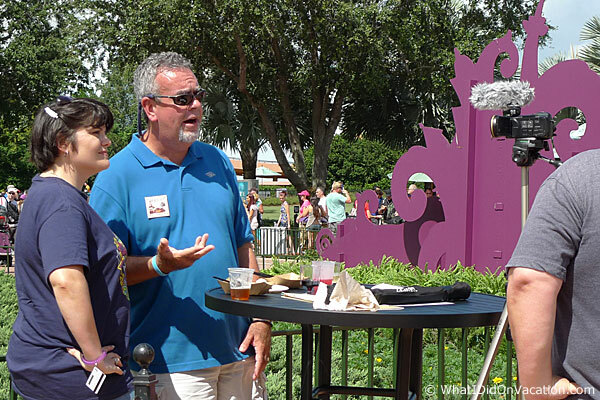 Here a video blogger records his show on the spot at EPCOT. 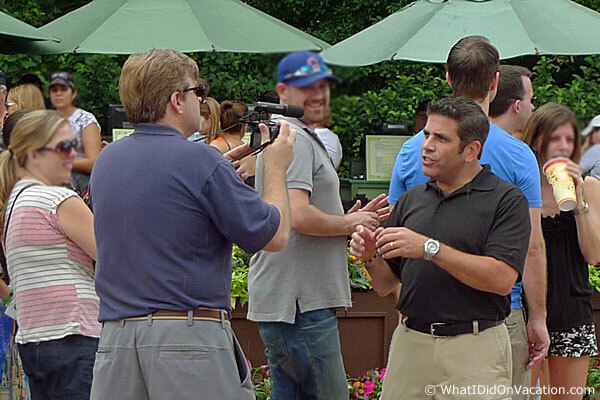 Another video blogger is being recorded right in the middle of the promenade. 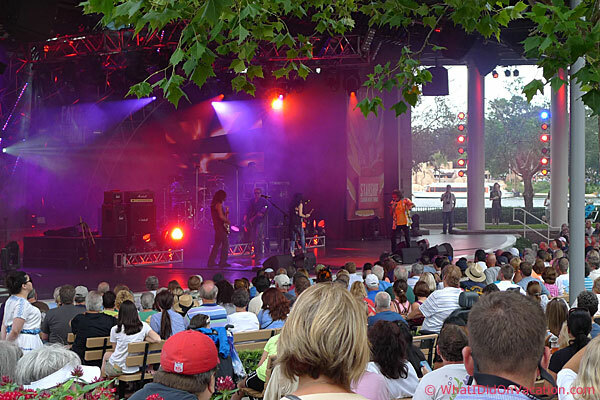 Starship performs on this night at EPCOT as part of the Eat to the Beat concert series. 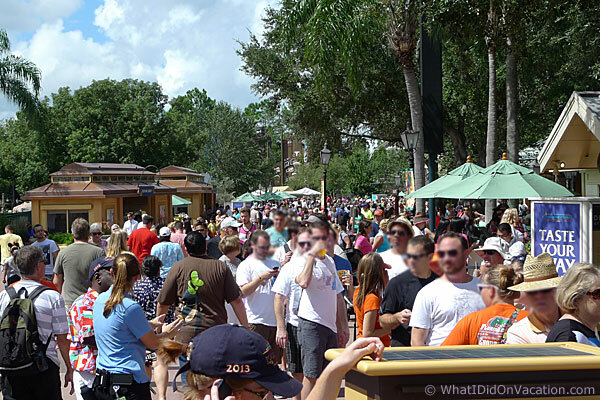 Every week of the EPCOT International Food and Wine Festival features popular bands from the 70s, 80s, and 90s performing at the American Gardens outdoor theater. 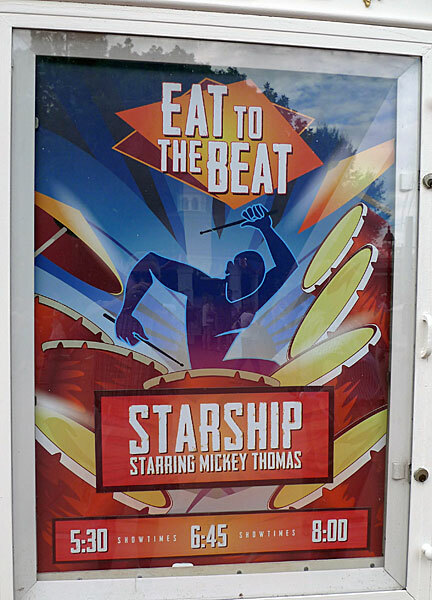 On this particular night, Starship featuring Mickey Thomas was performing. 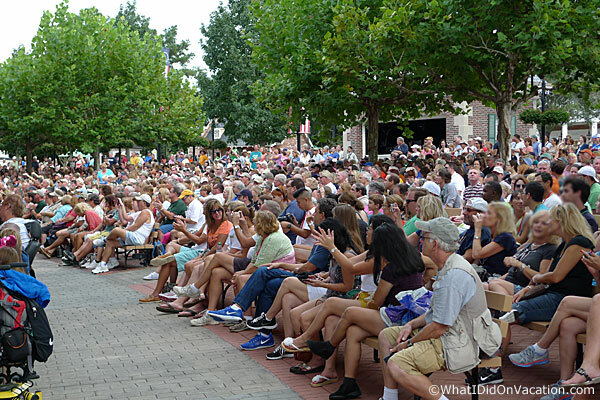 Mickey Thomas and Starship perform for a standing room only crowd. Starship really packed in the crowd. 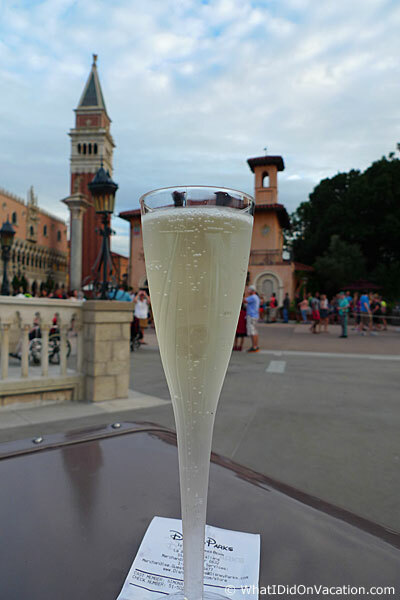 One last drink for the evening. 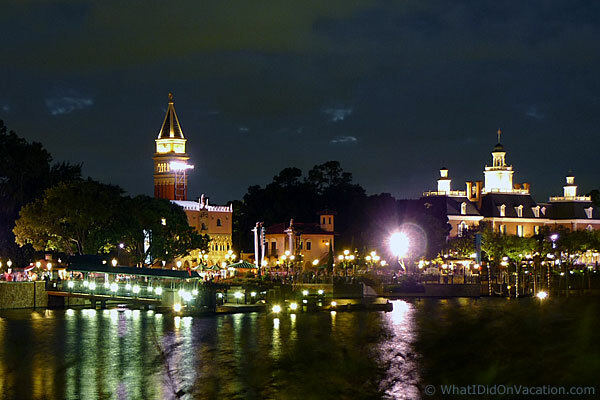 Good night from the EPCOT International Food and Wine Festival.